This morning we went to pay a visit to the wounded at the Shifa Hospital. Most of them have fractures and burns. His mother, Reda, tells that on Sunday morning around 9am Hani and his brother went to school, but there were no classes. They were coming back home when a drone fired a missile on the same road where they were walking, Al Khorondar street. Reda lives with her 7 children in difficult living conditions. Her husband died some time ago. 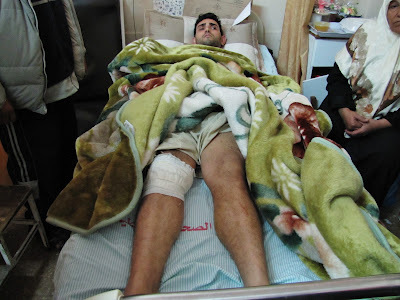 The doctor told us that Hani has a fractured femur in his right leg and several burns caused by the missile. 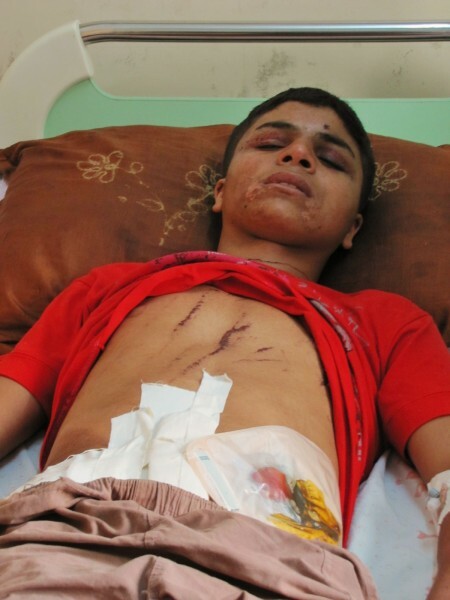 Moyad, was injured along with other friends, and one of their comrades, Nayif Qarmout,15, was killed. 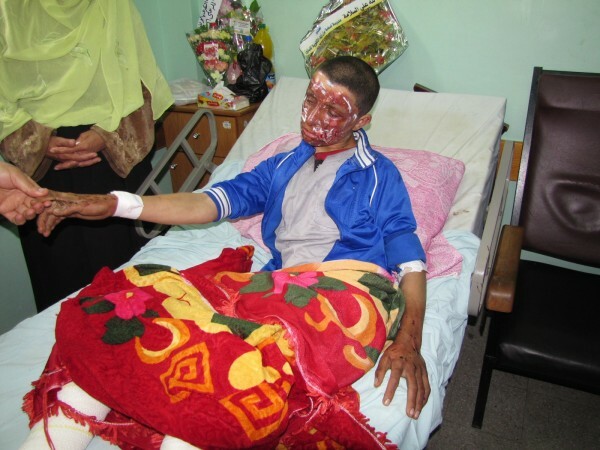 Moyad, who is Hani’s brother, reports injuries caused by second degree burns on the face and on the legs. He has shrapnel in various parts of his body. 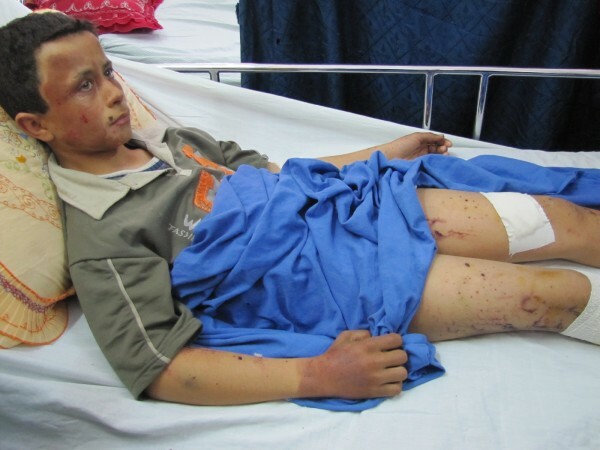 Even Saleh Qarmout, 15, came home from school that day along with other classmates. The doctor told us that during the attack, a child had died, Nayif Qarmout, and 9 children were injured. Five children were taken to Shifa Hospital, and four children have been transferred at Kamal Odwan Hospital. Tamer Azzam, 17, was coming back from school with them. We found him lying on a bed, and on his face showed the grimaces of pain. He has shrapnel to the face and side and burns to both legs. The doctor told us that they were obliged to partially remove his intestine. His recovery may take a long time. Tamer has 9 brothers and 2 sisters. His father is unemployed because he is sick. Before I left, Tamer constantly set his eyes incessantly on mine. I looked at him, but because of the pain I felt, I looked away for a while. When I turned my look towards him again, I found his eyes still fixed on mine. He stared at me in silence, aching, just like he was asking me some help through his eyes. I wanted to beat my fists against the wall, I wanted to shout and cry. I will never forget his gaze for the rest of my life. 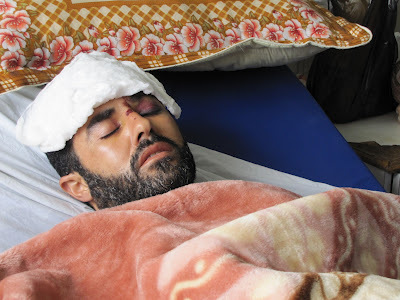 Alaa Al-Looh, 34, has a fractured tibia and burns to his face, caused by an Israeli attack that, on the same day killed a father and his daughter inside their factory. Mohammed Mostafa El Husseini was 85 and his daughter only 30. 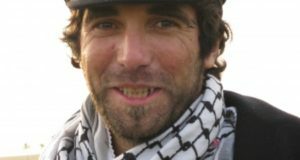 Alaa was riding his motorcycle when he heard a loud explosion. He bounced on the ground and he woke up at the hospital. Alaa is married and has three children, two males and one female, and works in a fruit and vegetable shop. When the doctor showed us his fracture, Alaa screamed in pain. On the same day, Sunday 12 March, around 8am, Hussien was going back home after work. Hussien delivers food to the schools early in the morning. 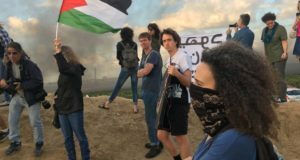 Suddenly a drone hit the road where he was travelling, Salah Addin Street, in the Al-Zeitouni neighborhood of east Gaza city. Hussien was injured in the back and he suffers from pressure to his chest. On Monday around 1:30AM two missiles hit Jabalia refugee camp, north of Gaza city. The first attack was carried out by a drone. 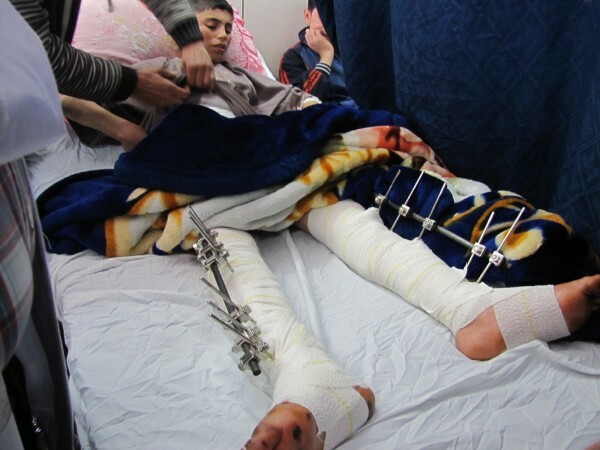 The missile hit the Hammad family home. More than 30 people have been injured, including 21 children. The house has been completely destroyed and others have been damaged. Abo El- Eash’s house was close to the the Hammad’s family. Moath had heard the explosions, and his neighbors asked him to go out to try to save Hammad’s family. As soon when he got out of his home an F-16 launched another missile. 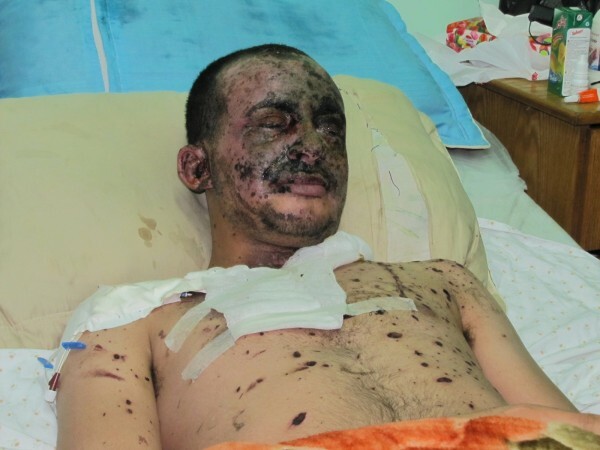 Moath has injuries from burns all over his body, particularly on his face and splinters in several parts of his body. I asked him if he felt like telling a message to the world after what had happened to him. Moath replied, “My image is enough to tell the world”. Dr. Maher Sukkar, vice president of the plastic surgery department at Shifa Hospital, told us that they will ask to analyze the splinters from the weapons used in order to determine if they are carcinogenic. Before saying goodbye, he told us that the weapons used are American. 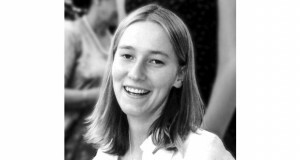 Rosa Schiano is a volunteer with International Solidarity Movement.